Vinted, would it change online clothes shopping? Share the post "Vinted, would it change online clothes shopping?" Vinted is a website and mobile application. It was invented to sell clothes between people, not business to business model but customer to customer. Everyone who has used clothes or clothes which would not be used anymore by them, could create account and show things they would like to sell to other people. Moreover it is not always about selling on Vinted people can also exchange with goods. Let’s start from the beginning, Vinted was created in 2008 in Vilnius, Lithuania by two people with brilliant idea, Milda Mitkute and Justas Janauskas first they were testing a prototype site where Lithuanian women could trade their clothes which they do not want but they could be wanted by other. Then with the help of advertising and promotions company was expanded into Germany, where it operates under the brand Kleiderkreisel. 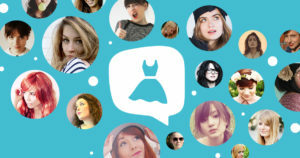 In 2010, Vinted launched in the United States. In 2012 the company introduced mobile app which is available on iOS, Android and desktop browsers. To use application you have to first sign in and create an account then you put your preferred location, size, favorite color, basically you personalize your future filters and research preferences for your future clothes, shoes and make up search, the same information you are adding to the goods which you would like to sell, after it goes to your profile and people can add your clothes to the favorite and they can watch how many interested people are with the same thing, if it was sold or price went up or down. After deciding to buy exact thing you write to the person who is selling this exact good and either you can meet in person if this good is close to you to buy this shoe, shirt make up etc. or you agree on the bank transfer and sending good through post office. The question is how it will change online shopping market? Mainly websites are offering only new and branded clothing, possible competition for Vinted would be Allegro, Gumtree and OLX where people are offering many goods and there also clothes, but the advantage for Vinted is that they specialization is clothing and make up, not furniture, flats and other things which appear on this 3 other platforms. The application is perfect for people who have many clothes in perfect condition and would like to sell it to people who would use it and be happy to have it, moreover the application is clear because it is only about make up clothes and shoes, the sell is easier and research of the goods also. The Vinted in my opinion has really bright future and by adding new features to their offer on website and application it becomes more and more popular in Poland. So what do you thing guys? Would you start using Vinted? In your opinion how would it change online shopping? Hi! Nice article 🙂 Though, the video looks funny! In my opinion, such platforms are a good alternative to online shopping. For example, I would use this platform if I were looking for something particular. It might be also a good way to earn money, because you can resell brand new clothes from limited collections or brand collaborations there. Moreover, there are platforms similar to this one. One of them is Vestiairecollective.com – this page allows users to sell their used or new clothes, however the site claims that it works only with luxury items. Though, I have seen there mass market too. The one minus, which I have admitted during the surf at this platform was the fact that the clothes, which are being sold may be relatively cheap. But what is extremely expensive is the shipping and the insurance for the authenticity of the item, as long as every item is being checked by the platform.